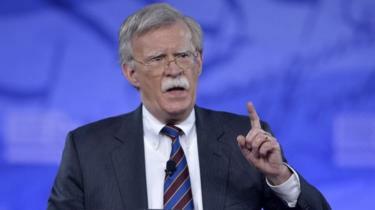 President Donald Trump is replacing US National Security Adviser HR McMaster with Bush-era defence hawk and former United Nations ambassador John Bolton. Mr Trump tweeted to thank Gen McMaster, saying he had done an "outstanding job & will always remain my friend". Mr Bolton, who has backed attacking North Korea and Iran, told Fox News his job would be to ensure the president has "the full range of options". Gen McMaster is the latest high-profile departure from the White House. Last week, Mr Trump fired Secretary of State Rex Tillerson by a tweet, replacing him with former CIA Director Mike Pompeo. Mr Bolton, whose appointment does not require US Senate confirmation, will be Mr Trump's third national security adviser in 14 months. He will take the job on 9 April.